This latest bit of information comes from a long strand of rumors that Microsoft is still deeply considering making another attempt at acquiring the company. 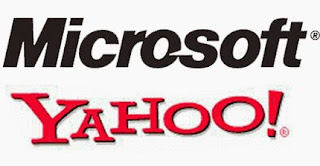 It was not long ago that Microsoft did bid for the company but the offer was later rejected by Yahoo! Microsoft currently has a search agreement with Yahoo! that the company is looking to maintain and if Yahoo! is acquired by another firm, you can bet that they would not be willing to break that contract. What Microsoft would do with Yahoo! is another question. Surely they would integrate many of their products such as Skype, but how it would handle the other operations of the website is a bit unknown. Not to mention what Microsoft would do with its own portal site, MSN.com. Signing the NDA and actually bidding for the company are two separate things but, by signing the NDA, it does show that Microsoft is still heavily interested in Yahoo!.